Are you dreaming of living close to a golf course with rolling green hills and perfect weather? Check out these luxury dream homes that are on the market right now! Maybe you dream of running a golf course resort with tennis courts, a clubhouse, and a restaurant. If so, this property is perfect for you. The complex features a 9-hole golf course, swimming pools, and a landing strip with airplane hangers. And the best part? It’s on the shores of Lake Rapel in Chile. This 26,000 square foot home exhibits the finest architectural design, and its backyard faces an extravagant golf course. The outdoor space features a full-length infinity pool from which you can enjoy watching the golf course. The home also features a spa & home gym, full staff quarters, and 2 full top-of-the-line kitchens. Live in the land of lush rolling hills and green grass. With more than 400 golf courses and a quarter of the world’s links courses, Ireland is the perfect place for a golfer to find peace. This castle (gifted from Arthur Guinness to his daughter) is surrounded by 5,000 acres -- more than enough space for you to install your own private golf course. 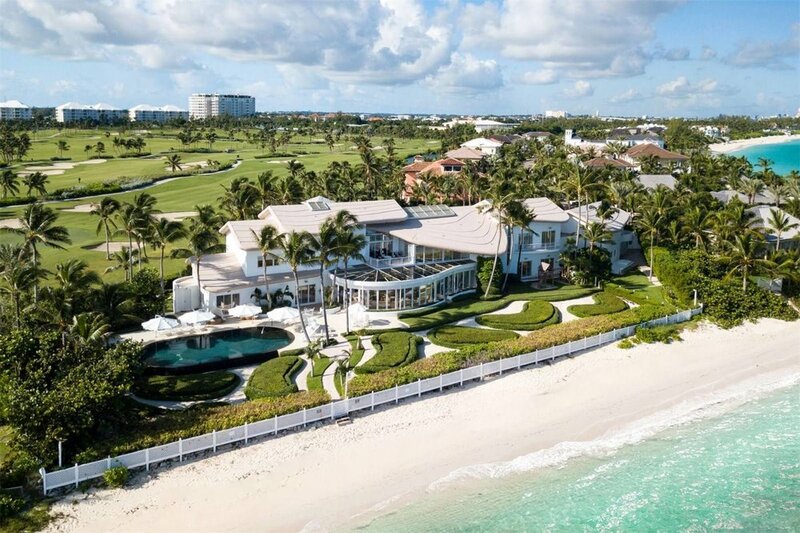 Wake up to the crystal clear, blue ocean at your front door in this 12 bedroom estate with 12,000 square feet. As a part of the Ocean Club Estates golf course, this home is situated on the 16th hole of the course designed by Tom Weiskopf. You can spend every day watching and playing golf in this masterpiece.